I cleaned out all of the finished work from the studio because I was running out of space. 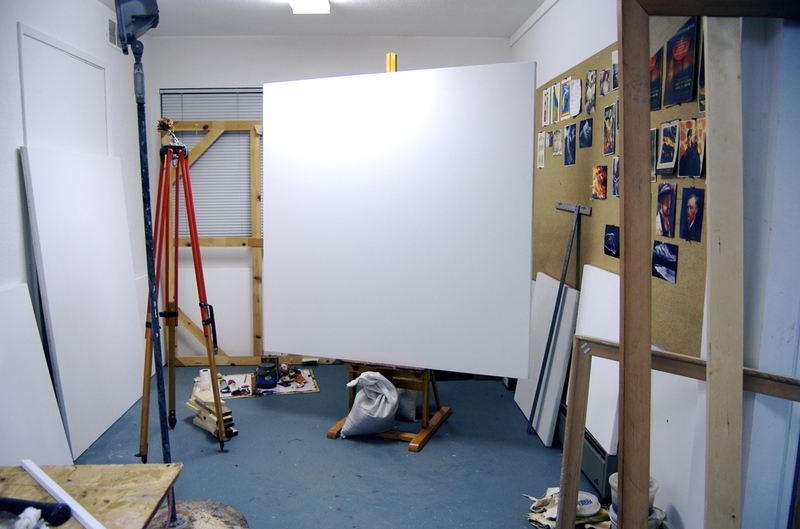 Now, I'm surrounded by 12 blank canvases, primed and ready to go. Time to destroy blank canvases.